Clerk Ranken was born in 1880, Edinburgh. Educated at George Heriot’s School, he then went to Edinburgh University, graduating BSc (Pure Science) in 1902, then DSc in 1907. He was recipient of both the Hope Prize and Mackay Smith Scholarships. At the age of only 21 he read a paper before the Royal Society of Edinburgh. As a Carnegie Fellow, he worked with Georg Bredig at Heidelberg University. On his return from Germany he became lecturer in Chemistry at the Heriot-Watt College, Edinburgh, and later Assistant Professor in Chemistry. In 1917 he left academia to take up as post with Messrs. T. & J. Bernard, Ltd., the Edinburgh brewers. We recently became aware, thanks to Dr. Andrew Alexander (Chemistry) that two photographs we had labelled as “Dr. Rubens?” are actually of Ranken and taken (most likely) during his student days. 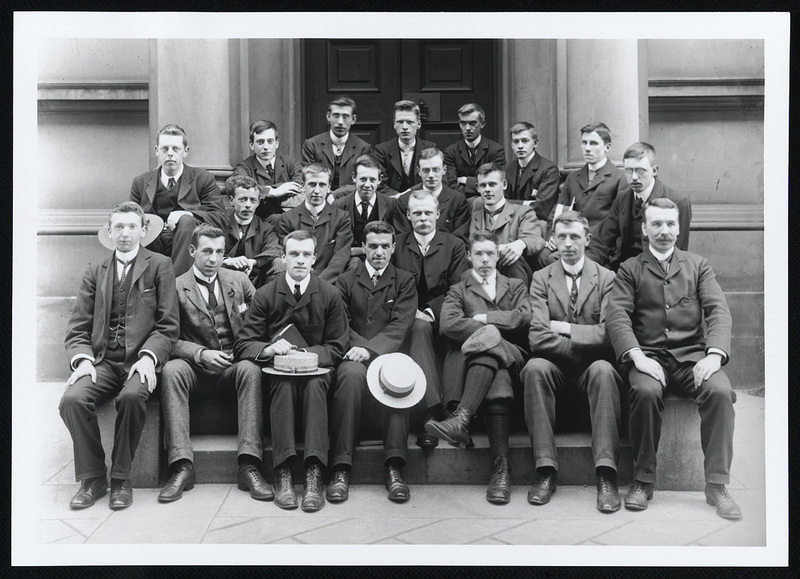 The first is a group photograph and we assume it is a group of Chemistry students. The doorway has been identified as one of those leading into the Reid Concert Hall (adjacent to the Medical School, where Chemistry was based). Clerk Ranken is in the front row, furthest left. The second shows Ranken in a laboratory. 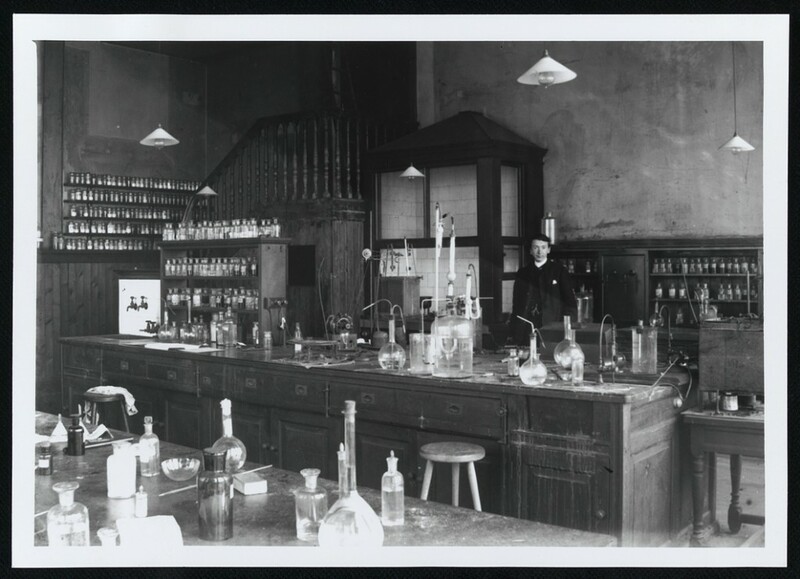 In 1903 the number of Chemistry laboratories had been increased and, although we have yet to place this specifically, it is of a similar style to laboratories known to be known in the Medical School building. Clerk Ranken died in May 1936. An obituary can be found in the Journal of the Institute of Brewing, Volume 42, Issue 4. This entry was posted in Collections and tagged alumni, chemistry, Clerk Ranken, students on 09/12/2013 by Archivists. Last weekend I was in Leuven at the Annual Conference of the Belgian Association of Anglicists in Higher Education (BAAHE), where I’d been invited to give a paper on translations of Walter Scott in our Corson Collection. While there, I took the opportunity to display two images from another University Collections item which vividly illustrates the extent of ‘Scottomania’ in 1820s Belgium. These are from an album of hand-coloured lithographs by Marcellin Jobard (later Belgium’s first photographer) showing the Ivanhoe-inspired costumes for a fancy dress ball hosted by the Prince and Princess of Orange in Brussels on 5 February 1823. A party of thirty-two guests went as characters from Ivanhoe, dancing a quadrille which caused such a sensation that they were invited to repeat the performance at the next Queen’s Ball. 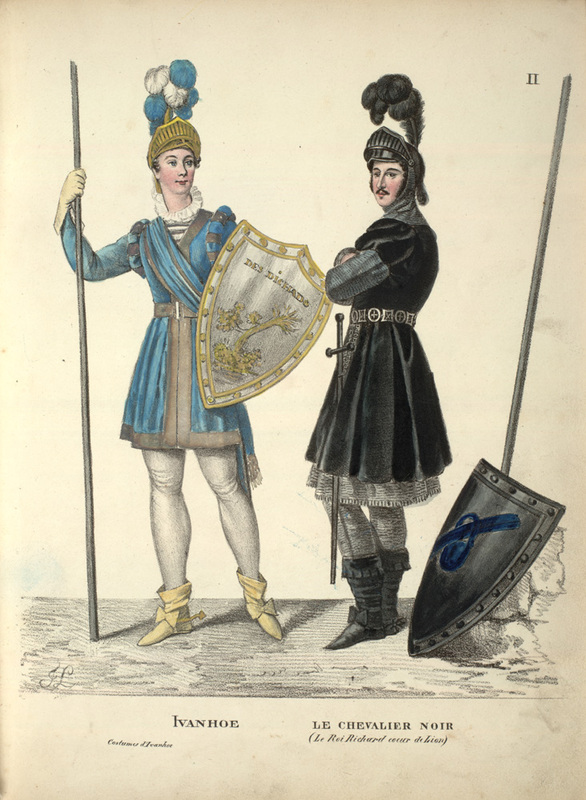 Three months later, a report in The Repository of Arts, Literatures, Fashions, Manufactures, &c declared that the Ivanhoe costumes remained ‘the principal topic of conversation at Brussels’. They clearly made sufficient impression for the costumes to be immortalized by the country’s leading lithographic press. 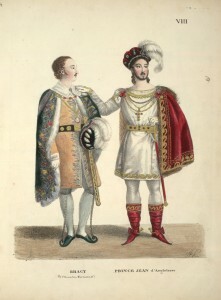 The images show the costumes for Ivanhoe himself, for the ‘Black Knight’ (aka Richard the Lionheart), and for their rivals Prince John and Maurice de Bracy. We also hold hand-coloured engravings for a similar Scott-inspired costume ball in Vienna in 1826. 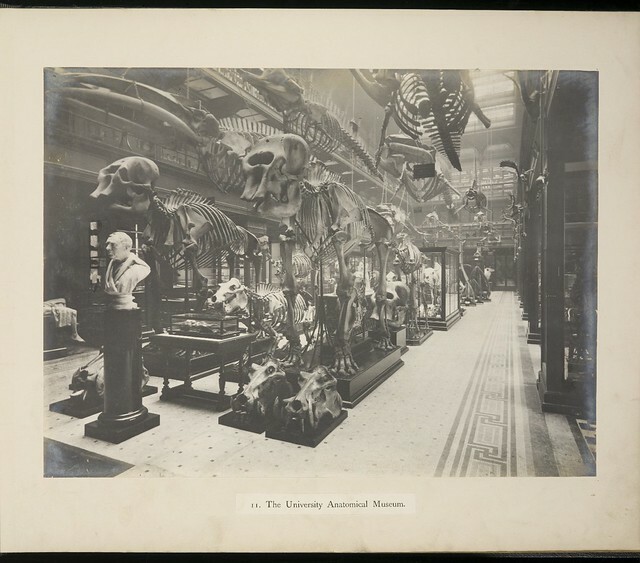 This entry was posted in Collections, Library, Projects and tagged Corson Collection, Sir Walter Scott on 04/12/2013 by archivesteam.